To mark a magnificent, nearly year-long celebration of Hennessy’s 250th anniversary, Hennessy saluted the success of its travelling art exhibition at the annual dinner of the Friends of the Musée d’Art Contemporain in Paris, France. 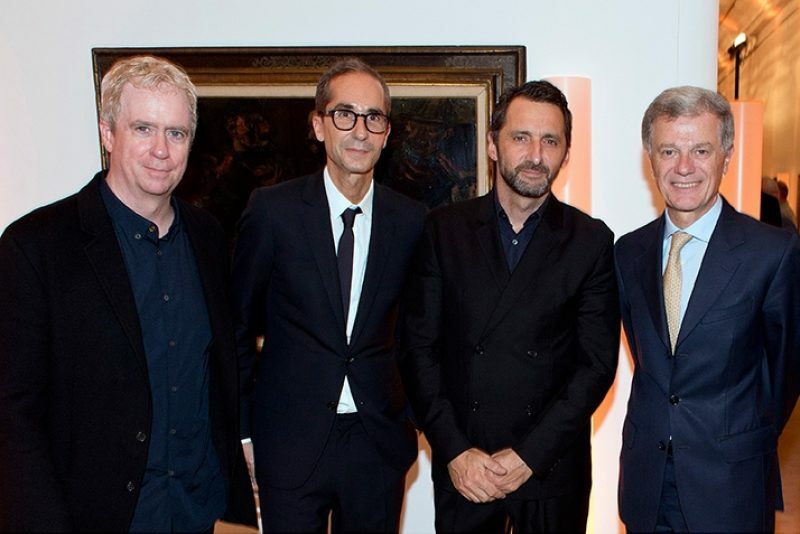 The dinner, which was hosted by Bernard Peillon, took place on October 20th, on the eve of the opening of the 2015 edition of FIAC (International Fair of Contemporary Art), one of the art world’s most important annual rendezvous. For the event, representatives of the Maison, including Maurice Hennessy, Hennessy 250 Tour co-curator Hervé Mikaeloff and Hennessy heritage expert Raphaël Gérard welcomed assorted artists and guests including Xavier Veilhan, Tony Oursler, Pierrick Sorin, Constance Guisset, Laurent Pernot, Olga Kisseleva and Jonah Bokaer. The gala dinner at the Paris Museum of Modern Art capped a year filled with exciting and innovative exhibitions, installations and performances that made up the Tour. Orchestrated with the participation of artists, performers and creators from every field, the Hennessy 250 Tour offered an exceptional and historic occasion to celebrate the Maison’s ties with countries and cultures all over the world. As a tribute to this milestone celebration, Hennessy Master Blender Yann Fillioux and the Tasting Committee marked the Maison’s first 250 years with the Hennessy 250 Collector Blend, a special limited edition creation. Hennessy is the world’s best-known Cognac and was founded in 1765 by Corkman Richard Hennessy.